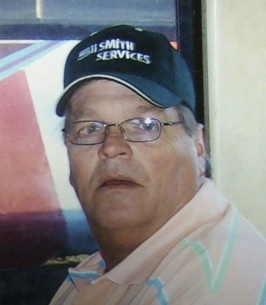 David Wayne Turner, 62 of Snyder went to be in Heaven's happy camping grounds on Tuesday, October 16, 2018. David was born in Alice, Texas on February 11, 1956 to Thomas O. Turner, Sr. and Evelyn Markham Davis. Later on in his life he gained a step-father, Robert Davis, who went on to raise him as his own. David spent his adult life working in the oilfield and traveling. In 1999 he met Brandy and his daughter Bridget, who was 4 at the time. Brandy and David married on July 22, 2002, in 2004 Brandy and David had their son, Robert "Boo" Turner. From that day on, David spent his life loving and taking care of his children and family. It takes an extraordinary man to love a child that isn't theirs biologically and he did just that with Bridget. There was never a question as to if she was his daughter. He and Robert "Boo" had an inseparable bond. They enjoyed camping and fishing together, as did Bridget, David loved to tell ghost stories and his treasure hunting tales. He loved looking for hidden treasures and going on adventures. David was preceded in death by his father, Thomas O. Turner, Sr.; mother, Evelyn Markham Davis; step-father, Robert Davis; sister, Cindy; his maternal grandparents, Homer and Ora Markham; his uncles, Johnny and Tommy Markham and both of his paternal grandparents. He is survived by his son, David Turner, Jr and his wife Paige of Flour Bluff, TX; his daughter, Bridget Robbins and her husband Stanley of Snyder, TX, son, Robert "Boo" Turner, Snyder, TX. He has 5 grandchildren, one due in February, Cooper Robbins, Leyum Robbins and Leighton Robbins, all of Snyder, TX. Kylee and Kaedon Turner, of Flour Bluff, TX; two sisters and two brothers, Tim Turner of Norman Arkansas, Aunt, Roseanne Markham, Norman, Arkansas and Uncle, Gene Markham, Norman Arkansas. A Memorial Service will be held in honor of David on Saturday, October 20, 2018 at 10 AM at The First Church of the Nazarene, with Chaplain Walter McCall officiating. Flowers can be sent to the church or 4515 Fredonia Ave.. Arrangements are under the direction of Miller Family Funeral Home. The Family would like to give a Special Thanks to all the Kindred Hospice Staff and others that have loved and helped care for David, over the past several months. To send flowers to the family of David Wayne Turner, please visit our Heartfelt Sympathies Store.